Description: You are warmly invited to our amazing FREE community awards celebration to recognise the unsung heroes of our community and great city! This is a powerful, emotive, fun, positive awards night and Inchgarth AGM. Filled with wine, buffet, ice cream, awards, entertainment, and community spirit which is suitable for all ages. People from all over the city flock to this FREE event. No need to book, just turn up and feel free to take your friends, family or work mates…..and don’t forget the hankies as there’s a few award winners whose stories will blow your mind! A night to remember and to give your support to 8 amazing people who will be given “THE SPIRIT OF THE COMMUNITY” award. Description: A range of local stall holders selling food and crafts. Full list of those attending will be published nearer the time so keep an eye out on our page. Description: Packed with brilliant moments, the Scottish Traditional Boat Festival engages the local region, bringing together boats, music, crafts, food and drink to celebrate the region’s rich cultural heritage. Cheer on the crews as the take part in competitive racing and sailing on the opens seas, enthralling the crowds gathered by the harbourside who watch on in excited anticipation. With up to 16,000 people descending upon Portsoy over Festival weekend, be sure to come along and join the celebrations. Description: Take part in a magical midsummer trail at Leith Hall. Create your own story as you look out for the magical creatures that are hiding in the enchanted walled garden. Kids are £3 and adults free. Buy your tickets on the day, available from 11am on both Saturday and Sunday. Events take place from 11am to 3pm both days. Kids are £3 and adults free. Parking is free for members of the National Trust for Scotland, £3 for non-members. Description: Come along to this year’s Skateraw fair and watch local acts on stage while enjoying fine food and drink, face painting, hair braiding, party nails, kids games and crafts, Husky Haven, Lethen Archers, bouncy castle and slide, obstacle run, bungee run plus much more. Description: Finish the school term at our FAMOUS KIDSIZE DISCO! This fun filled evening will include snacks, photo booth, face painting, games and dancing! We will even have a DJ from Un1que Disco attending! The dress code for this event is Summer Style! Tickets are £5 please contact our page or email us kidsize@hotmail.com to purchase your tickets! Description: BBC One’s Antiques Roadshow will be filming at Crathes Castle near Aberdeen on Sunday 1 July. Description: Ellon Community Council are hosting a car boot sale and all proceeds are going towards the Ellon Christmas Lights. Pitches £12 to be bought in advance of the event. The 2km fun run starts at 10.00am and new for this year will be timed. The route starts at the Recreation Park, goes around Portsoy then down into the harbour and finishes at the Shore Inn. The 10km road run starts at 10.30am. The route starts at the Recreation Park, it then heads west towards Sandend and turns inland to climb up the long but easy Durn Hill, down past Damheads before turning left onto the Huntly Road. One more diversion takes the run past Durn Cottages, Durn Farm and Durn House before turning left onto the Banff Road and heading into Portsoy, once in Portsoy you will turn right onto the route of the old railway track to the harbour finishing at the Shore Inn. Description: Vintage Inc is on! – Come and join 16 amazing vintage, retro and midcentury traders as they take over the Barn arts centre in Banchory on Sunday 1 July for a fair like no other. Vintage Inc provides the perfect place to check out the coolest selection of vintage fashion, furniture homewares, jewellery and collectibles around as well as the chance to hang out with like-minded vintage lovers amidst a backdrop of classic vintage films, music and a speakeasy bar. Get those vintage glad rags on and come on out! With the added buzz of the BBC Antiques Roadshow filming at nearby Crathes Castle, Deeside will be THE place to be for lovers of anything vintage on Sunday 1 July so Hold the Date! Open 12noon – 6pm and entry is FREE. 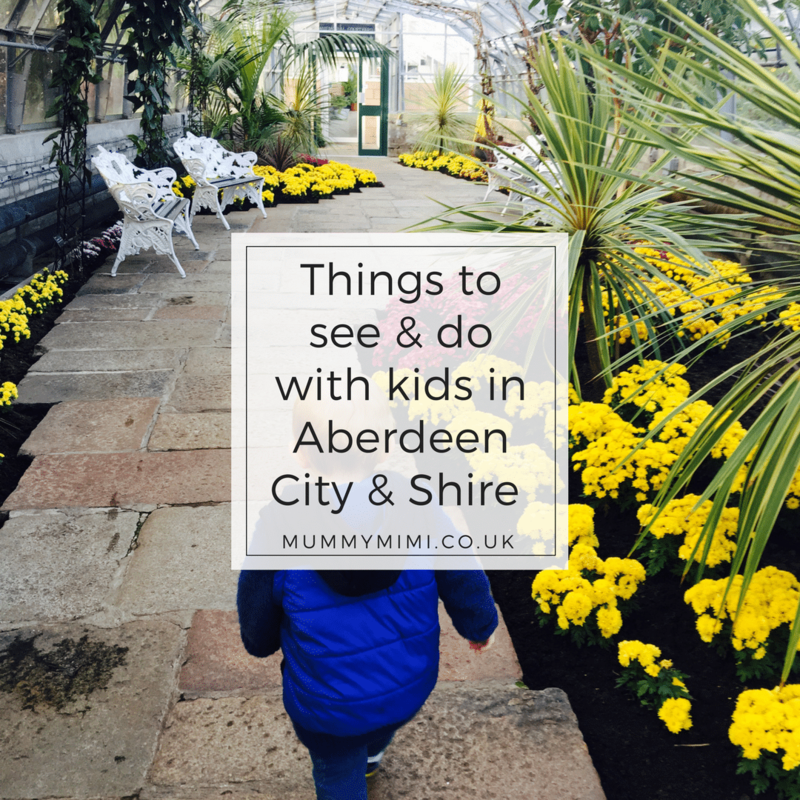 Did you see our post on my 5 favourites things to do with S in Aberdeen City & Shire? Description: Outdoor fun at Hazlehead Park! Swish, swash through the grass, look for bugs, make mud pies, find out about wildlife and lots more! Description: Outdoor fun at Hazlehead Park! Swish, swash through the grass, look for bugs, make mud pies, find out about wildlife and lots more. Please arrive 15 minutes early for sign in. We hope to see you soon. Description: Peppa Pig and friends are back in the brand new live show Peppa Pig’s Adventure! Description: Outdoor fun at Countesswells Wood! 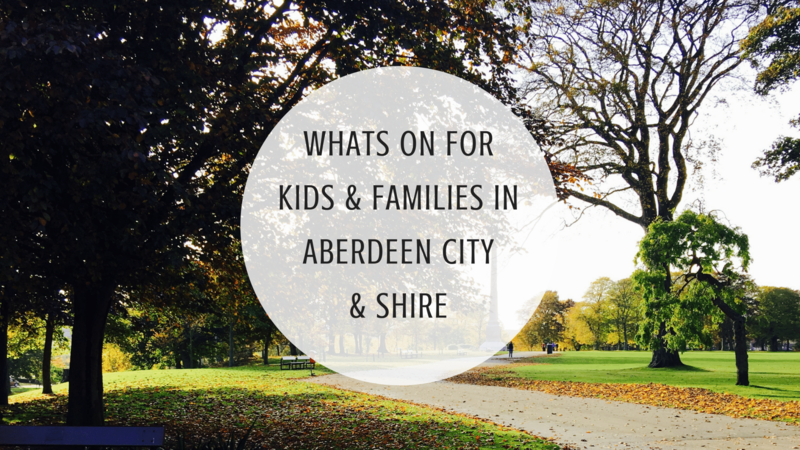 Jump in puddles, find out about wildlife, play hide and seek and lots more! The finest Arts Craft & Foods, and for this year music come to Crathes Castle. Throughout the first two floors of the Castle, the Horsemill, and in the Courtyard uniquely beautiful crafts and sumptuous fabulous foods will vie for your attention together with street food and great music. 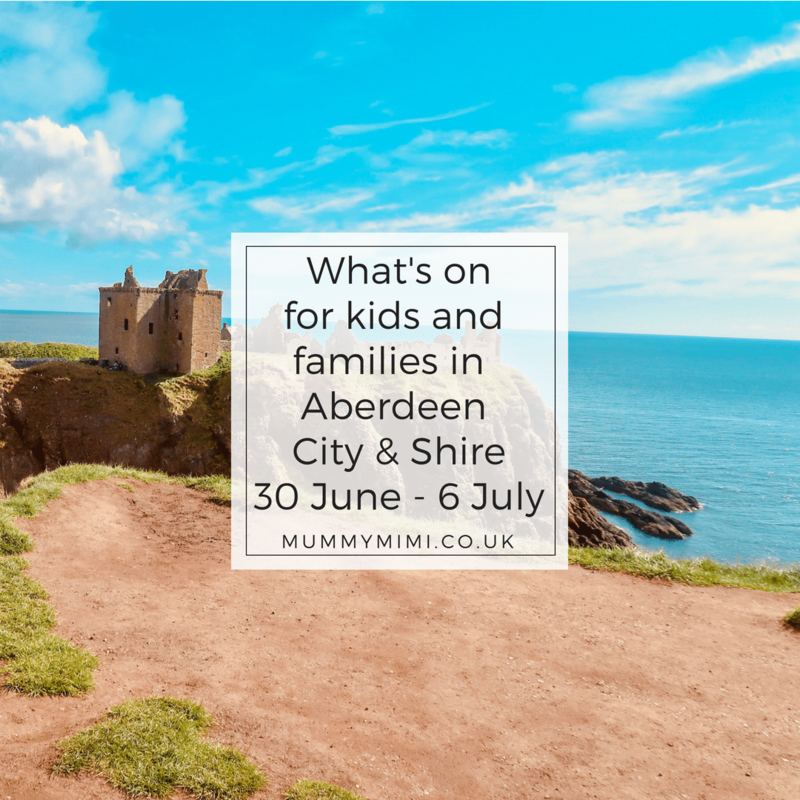 From local Gins & Beer, watercolours & prints, aromatic candles, horncraft, glass & metal furniture to Celtic tweeds, silverware, patisserie, seafood, local meats, cheese, Belgian chocolates, ceramics the list is extensive and all hand made in Scotland – a magical 3 days to choose from! Description: Join our colourful wonderland, with magical messy activities set to raise hairs and spark imaginations. At Happimess, kids can enjoy activities such as pizza making and cupcake decoration, get messy with Glitter Sparkle Spaghetti and our mud kitchen or entertain with our king karaoke and diamond disco. The little ones can squelch, pour, mix and get messy to their hearts content. You and your little ones are sure to find your messy place at Happimess. All you have to do is come along Mess Around and leave the cleaning up to us!